API steel pipe has a hollow-section, widely used to convey fluid, such as petroleum, natural gas, coal gas and water. Adopting steel pipe to manufacture ring-shaped spare parts can increase material utilization ratio, simplify manufacturing process, and save material and processing time. At present, things like rolling bearing ring and jack cover are usually made by the steel pipe. API stands for American Petroleum Institute, one of the main activities of which is designing and revising API standard. This standard involves almost every field of the petroleum industry, with comprehensiveness, systematicness, primacy and authority. And it has played a long-standing dominant role in the area of the standardization of petroleum industry, widely applied in the whole world. API steel pipe is exported to many countries: Germany, Japan, Romania, Czech Republic, Italy, UK, Austria, Switzerland and America, Argentina and Singapore included too. 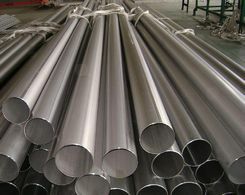 Except API steel pipe imported from Japan using the API standard, a few are executing Japanese manufacturer standard. In detail, the application of API steel pipe is the transportation of the drilling of oil and gas well. It includes oil drill pipe, oil casing pipe and pumping pipe. 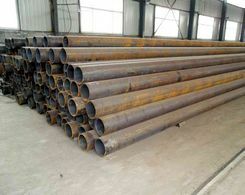 Oil drill pipe is often seen in connecting drill collar with drill to transmit the drill power. Oil casing pipe is used as a support for the wall of a well, ensuring the normal operation of the whole well through and after the process of drilling a well. And pumping pipe can transmit the oil and gas from the bottom of the well up to the ground. Oil casing pipe is the lifeline in maintaining the operation of the oil well. Due to the various geological conditions, the downhome stress can be complicated. With pulling, pressing, bending and twisting comprehensively act on the pipe body, the high quality of itself is in demand. Once the casing pipe is broken by any means, it may lead to the reduction of output of the whole well, or even the recognition of the well as a scrap. The casing pipe can be divided into different ratings of steel according to the strength of the steel itself, which was designed by the ASTM(American Society for Testing Materials), that is, J55、K55、N80、L80、C90、T95、P110、Q125、V150 and so on. So the ratings of the steel of the pipe vary from the condition and depth of the well. Under the corrosion environment, API steel pipe needs to obtain anti-corrosion property . Moreover, seamless API steel pipe should be resistance to collapse if the geological condition is complex. Above all , even though API steel pipe is a high-quality and high-standard pipe with numerous users, it is really necessary for us to know the usage of API steel pipe to satisfy different purposes. The welded steel pipe and black steel pipe are also available. How to Maintain Alloy Steel Pipe?